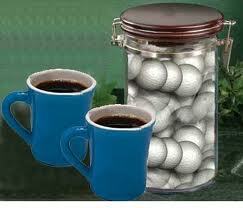 mayonnaise jar and proceeded to fill it with golf balls. empty space between the sand. “I want you to recognize that this jar represents your life. room for the pebbles or the golf balls. never have room for the things that are important to you. “Pay attention to the things that are critical to your happiness. Previous Previous post: Misfortune – Why does everything go wrong? Next Next post: Cruelty – What is its source?